To head off this threat, the Obama administration is working feverishly to sway, or at least quietly discredit, the rating agencies. According to the Washington Post, tough backroom meetings with agency analysts have broken down, and Tim Geithner’s pleas have fallen on deaf ears. Others have taken up their cause. Robert Reich, Professor of Public Policy at UC Berkeley and President Clinton’s former Labor Secretary, has told the agencies to stay out of the current debt negotiations, while the Wall Street Journal described “Bipartisan Disgust for Rating Agencies” and published a column claiming they “offer nothing of value.” Even other finance firms are piling on. Hating the rating agencies has become the outrage du jour. But these last-minute disses, while deserved, are likely too little, too late. Lawmakers and the administration had the chance to rein in the agencies last year, and didn’t. As Norman Ornstein of the American Enterprise Institute told me, “Where was this vitriol back then, when we needed it?” Last May and June, during the debate and mark-up process for the Dodd-Frank financial reform act, Congress saw many proposals that would have curtailed the overweening power of the rating agencies. Almost all of them were lost or ignored. 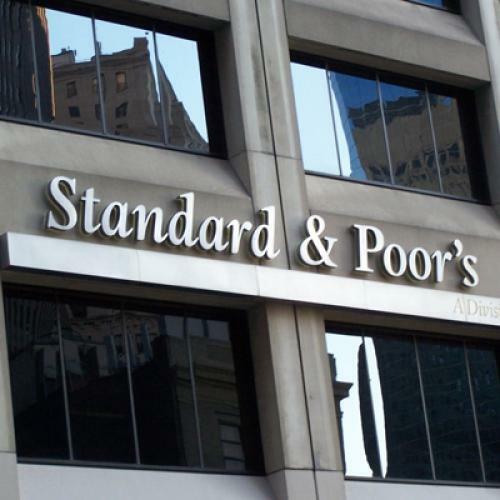 The most prominent proposal to curtail the power of the rating agencies, championed by Senator Al Franken, would have ended the longstanding practice of banks choosing and paying their own bond rating agencies, a clear conflict of interest. The freshmen senator brought an amendment to the floor that would have rotated the agencies among firms, reducing their power. On a wave of disgust for the agencies’ financial crisis failures (like giving Lehman Brothers a triple-A rating minutes before its collapse), the Franken amendment passed. But then the Democrats turned and ran. Barney Frank and Chris Dodd said the issue needed “more study.” And the administration, for its part, stayed silent. Franken told Newsweek, “I could never quite figure it out … It was weird. Dodd gave a speech and said, ‘What Al’s done is great … But I think it could have unintended consequences.’ I said, ‘Maybe you could tell me what one of them is?’” Franken’s amendment was neutered, ultimately becoming a research study in the final bill. And Franken’s popular proposal wasn’t the only bullet dodged by the rating agencies. There was another important provision in the final Dodd-Frank bill, originally proposed by Representative Paul Kanjorski, that would have labeled the agencies “experts” and therefore capable of being held legally liable for their ratings. But the agencies lined up against it, refusing their expert status even after the bill’s passage. As Sue Allon, CEO of the credit risk management firm AllonHill told me, “They came together and said they wouldn’t do it. Because all of them refused, there was very little choice.” And so the SEC, reporting to Treasury and the president, nullified the liability clause. Just a week ago, the House Financial Services committee approved a bill that would reverse it altogether. When I asked Congressmen Neugebauer if he would support rating agency reform, he shrugged it off. “It’s too early to tell. We still have to wait to see how this turns out. This won’t be the last hearing.” Unfortunately, it’s not too early. It’s a whole year too late.